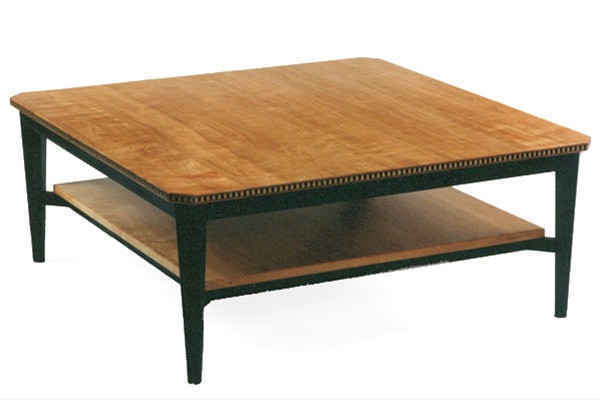 Dorset Custom Furniture style coffee table in natural cherry with black paint details. Trapezoid inlay of maple, bubinga and ebony. 48” square with cut corners 18” high. Available as a rectangle and without edge inlay. Priced below without inlay ... for inlay, add $500.